Max Holloway has responded to tweets that Khabib Nurmagomedov and Conor McGregor posted earlier this week following his withdrawl from UFC 226. Max Holloway has sent responses to both Conor McGregor and Khabib Nurmagomedov this morning following his withdrawal from UFC 226 this weekend. Both Nurmagomedov and McGregor reached out to the UFC featherweight champion via Twitter earlier this week to wish a speedy recovery from his suspected concussion. Holloway took the time this morning to respond to both the Russian and the Irishman and it appears that he is at peace with both parties. Holloway was expected to face Brian Ortega this weekend in a bid to defend his UFC 145-pounds title for the second time. Unfortunately, the news broke on Wednesday evening that Holloway had been pulled from the fight having been admitted to hospital for the second time that week with concussion like symptoms. Holloway’s removal from UFC 226 this weekend marked the third time he had been booked to fight this year and not make it to fight night. The Hawaiian was expected to face Frankie Edgar in March at UFC 222 but withdrew after sustaining a foot injury a few weeks before the fight. 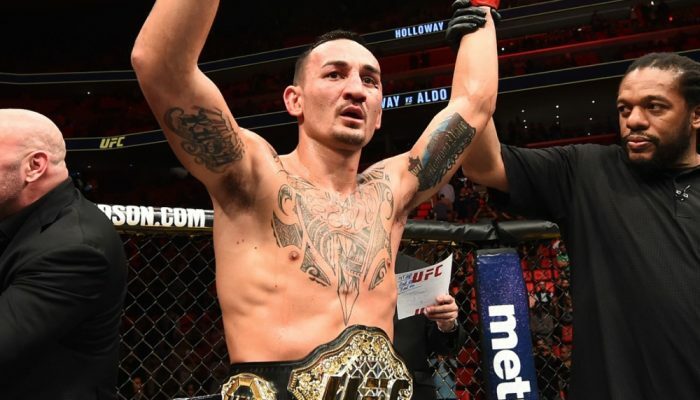 Just a month later, Holloway looked set to replace Tony Ferguson as a last minute replacement at UFC 223 and fight Nurmagomedov for an interim UFC lightweight title but was then pulled from the bout during the official weigh-ins when the New York State Athletic Commission had concerns with his weight cut. The UFC featherweight champion is now expected to have multiple medical examinations before a return date is set.